Having frank conversations about the state of our country has never been more important. But it can be difficult to reckon one’s place in a community full of otherwise good people who have aligned themselves with a hateful ideology. 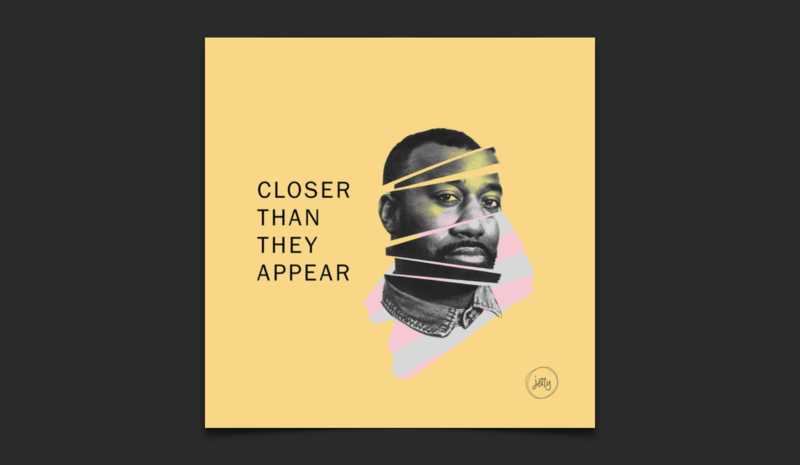 In the podcast Closer Than They Appear, host Carvell Wallace confronts this dilemma by showcasing the voices of those who stand to lose the most in this country: immigrants and/or people of color. Through a compact 7-episode season, the show gauges our nation’s progress from the viewpoint of people yearning to connect with others who seem distant. Intimate interviews that start with convivial small talk quickly become discussions of deep-rooted insecurities. In the process, the show suggests we’re more tightly sewn together in the fabric of American life than might be evident from an excerpt of a random news story or social media post. Closer Than They Appear ingratiates its listeners with a unique lineup of guests including acclaimed actor Mahershala Ali and the lesser-known former congressional candidate Alexis Frank. In his conversations with these guests, Wallace transitions seamlessly from asking about his guest’s career paths to probing their emotional lives. Since these conversations can be quite personal, Wallace creates a sense of trust by talking about his own journey to reconnect with his adopted mother. Listeners could very well carry on as voyeurs, taking in the heartbreak without feeling an urge to examine how the stories might be applied to relationships closer to home. But hearing the same voice gradually reveal the pieces of an intimate struggle creates space for more self-reflective listening. Wallace’s children are occasionally featured to compelling effect on this front, conjuring up the notion that he is exploring the subject through his own life as much as the life and work of his guests. Furthering this effort, Wallace spends some time in each episode reconciling his successful career and family life with the tumultuous past he left behind. A journey to his hometown of Pittsburgh brings this meditation to a head, as we learn about the life of Shamrace Mims. Wallace and Mims were childhood friends, but Mims stayed in the city of their upbringing and became gradually ensnared in a life skirting the law and lacking in a sense of security. The series reaches its emotional peak as Wallace asks if America has failed Mims. His response demonstrates the common reluctance of the working and lower classes to participate in a political system that is so far removed from their lives. Wallace takes stock of this divide at the heart of the series, outlining the vast similarities between himself and this man who, despite the immense difficulties he’s been forced to overcome, still has dreams of shaping what is left of his future. Wallace punctuates every episode with his apprehension about restoring a relationship with Aunt Bea, the woman who raised him for a good deal of his childhood. In the penultimate episode, we listen in on a reunion that has been twenty years in the making. It turns out to be anticlimactic but salient to the show’s central message. Which is that we sometimes put up walls of our own construction, fearing that tearing them down will bring some untold pain to light, when these barriers are really figments of self-preservation. The relief Wallace exudes in this episode might feel unsatisfying, with the danger of sending the message that racism is just a state of mind. But while this denouement does radiate an abnormal amount of optimism for a piece focused on such heavy topics, it doesn’t reflect what Wallace is building. There’s a place for asking tough questions about institutional racism and zeroing in with journalistic rigor to demand accountability of the powers that be. Shows such as Codeswitch and Still Processing do this very well. But Closer Than They Appear is directed more toward individuals, daring to ask everyday people how their actions reflect on the country’s path towards equality. Like the best serialized media, Closer Than They Appear is entirely captivating on an episode-by-episode level while slowly building on a satisfying theme. The interviews capture how each of Wallace’s guests have encountered divisiveness in their lives, often leading to insightful coping mechanisms that might find broad application. Perhaps the deepest of these moments comes from Wallace’s interview with Dr. Ayaz Virji, a small-town doctor in rural Minnesota who has experienced a great deal of adversity in his quest to share his Muslim faith with surrounding communities in the wake of Trump’s election. When asked about how hatred and good intentions exist in the same person, Virji simply states that someone with a noble heart has the potential to have a mind that has simply been distracted with poisonous logic. In the final episode of the series, Wallace implores the audience to “assume you are a part of the problem somehow.” He realizes that everyone has a place in the difficulties plaguing the country — not in the “All Lives Matter” sense but with the wisdom of a sage inspirational speaker. And by series end, listeners are left with the question of where the show will go next. The issues at hand could be hashed out with new guests and still remain novel. But the biggest obstacle will be how to fill the void of Wallace’s autobiographical arc. Wallace’s kids make for some pretty compelling audio, and getting an intergenerational perspective on issues that seem destined to linger as these children age might be something to explore. Another format could be including more stories from listeners. The show buttons later episodes with people calling in to tell their own tales of grappling with separation. Surely Wallace could crowd source some deep rifts in need of healing, though the authenticity of a host laying bare their soul would inherently be missing. That, however, is of no concern to the content that has already been produced. After getting reacquainted with Aunt Bea, Wallace meditates on a proverb fished from the fog of his memory: “Serenity means giving up all hope of a better past.” It’s a mantra that embodies Closer Than They Appear and its earnest understanding that a better future requires reconciling with the present.